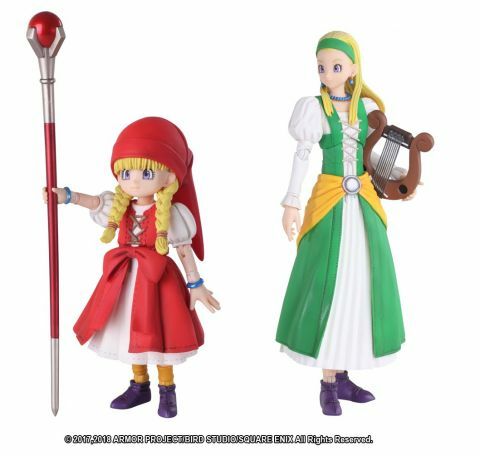 Veronica, the fearless young mage, and her twin sister Serena, the laid-back healer, from DRAGON QUEST XI: Echoes of an Elusive Age arrive as a set to the BRING ARTS action figure line! The color and shine on their hair and outfits have been carefully adjusted to recreate the various textures, making them just as visually impressive as they appear in-game. Accessories are abundant with Veronica�s staff and thorn whip, Serena�s wand and harp, various head sculpts and hand parts, and even a healslime! Various scenes can be recreated and enjoyed through this package as the figures directly capture Veronica and Serena�s look and feel from the game. Other products for "Dragon Quest" in "Figures"
Other products for "Dragon Quest" in "Books"
Other products for "Dragon Quest" in "Plush"